Sounds like you're doing all the right things! I've just sold my old Black E87 bumper that I bought for my last 130i that got binned. I have some black BMW performance grilles that I put on my last 130i as it was black. Not 100% sure how they'll look on my current 1er though as it's Le Mans blue... anyone with a Le Mans Blue 1er got any thoughts? The coupe bumper looks ace on the hatch. Last edited by J0sephx on Thu Jan 31, 2019 4:48 pm, edited 1 time in total. Demelitia wrote: Can you get some pics up when it’s done? I fancy doing something to mine at the front end, I don’t know if I can get the performance bumper now though so the coupe one is an option for me, I’ve also got the same alloys so it’ll maybe help with the visuals. Is this any good to you Joseph ? White 130i parked up by the Tea Room in Lee on the Solent yesterday morning. Argh, the decision is really difficult! I am not sure which I prefer! Wondering on what it's worth question again! My commute has changed to three miles a day and a young baby means it's not getting used at weekends so I'm going to sell, probably regret it as it took ages to find. 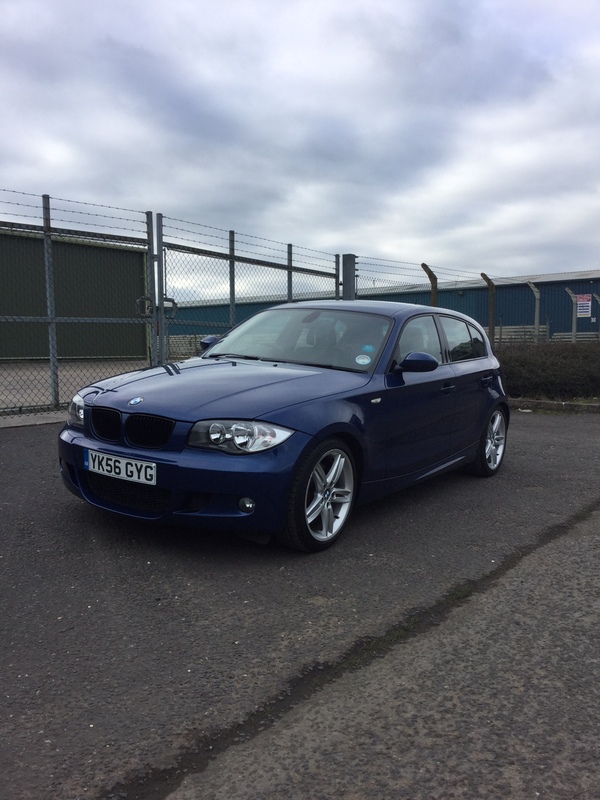 I presume you've seen the 2 (130i autos) that are currently on Autotrader? Looks like you're in direct competition with those 2 I'd say they give you your best indication on where to start price wise. They've been on there a while now in fact there were 3 but the higher miler + the cheapest one disappeared a few weeks ago .... I know cos I've been watching lol! Just got my Coupe front bumper on with my 216Ms! Plan is in the summer to tidy up with front fogs and coupe arch liners, plus give the wheels a dark grey refurb! J0sephx wrote: I think it looks good! I will do once it’s clean! It looks great! My favourite wheels too! Only thing I would say, the gap between the kidneys and the bonnet seems a bit bigger than it is on mine. It might be the fact that yours is silver and mines carbon black I’m not sure. I think I read from the how to threads that there’s a bit of adjustment in the top screws across the upper panel of the bumper under the bonnet. Loosening then off and shoving the bumper back before tightening again might just finish the install off? Either way, as I said; it looks mint! 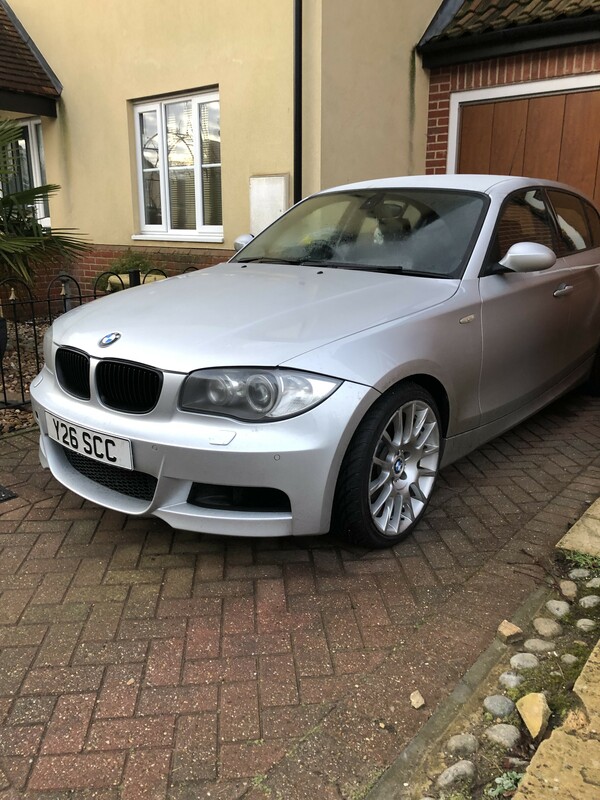 There was a project of another 130i where the owner had fitted a coupe bumper(amongst other things) - looks really good tbh but it’s one of the last things I wants to do to mine really. Here’s the thread for it on PH! Cheers man! I love it! The wheels really finish it off. 135i exhaust getting sorted with a 135i res delete Saturday !